Following on from Spamalot’s successful visit to the King’s Theatre in 2010, it was great to see the show making its triumphant return this week. 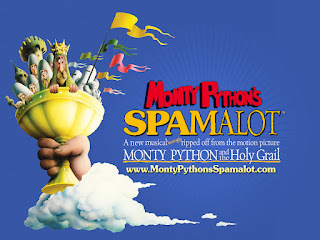 Based on the classic film Monty Python and the Holy Grail, Spamalot is crammed full of laughter and outrageous silliness. The opening zany number about fish slapping sets the tone for the evening and gives the uninitiated time to catch up. 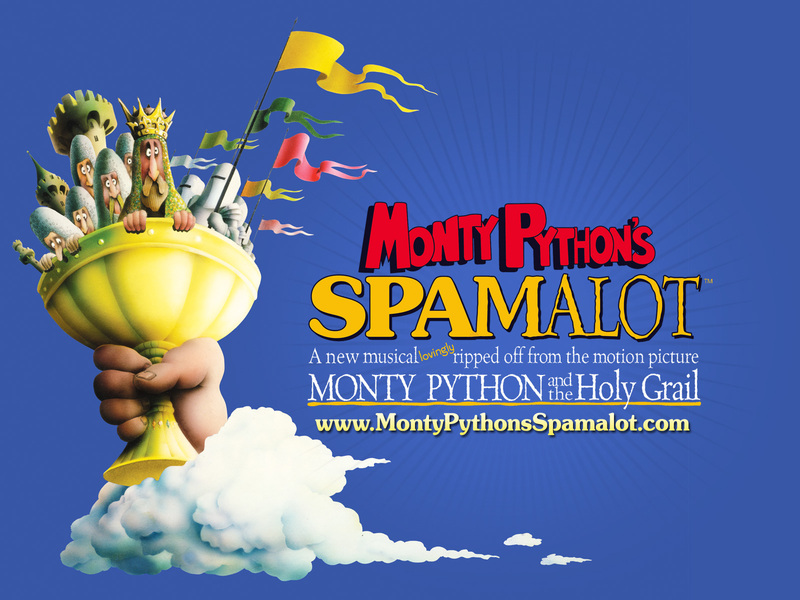 Spamalot is a show that commands audience attention and demands to be laughed at, showering the audience in intelligent quick-witted dialogue be it about migrating coconuts, not quite dead plague victims or killer rabbits. The songs are firmly tongue in musical-cheek and hilarious. It would be easy to miss some of the fabulously funny lines because you’re so busy laughing at the previous ones. A particular favourite song of mine in the show is the wonderfully observed The Song That Goes Like This. As someone who sees a lot of musicals it’s easy to see where the inspiration for this number came from and to see the genre being gently ribbed in an extremely funny way is a treat. Jon Robyns (Sir Galahad) and Bonnie Langford (Lady of the Lake) created a superb performance of the number by hamming it up in all the right places. The follow up Twice in Every Show performed by the Lady of the Lake and King Arthur (Steven Pacey) included some brilliantly subtle observations about their own pairing which further added to the hilarity. As Arthur, King of the Britons, Steven Pacey captures the essence of the King perfectly. Todd Carty, on coconuts as Patsy, brings real humility to the role with subtle looks and expressions that say more than any script could. Bonnie Langford embodies the diva qualities of Lady of the Lake exquisitely and her Diva’s Lament is second to none. The two sides of Sir Lancelot are brought to life in style by Kit Orton who brings wonderful character to all the roles he plays in the show. Spamalot is a real ensemble production and the whole cast work together superbly, filling the stage with life and laughter. A notable mention also has to go to the use of a whistle and John Anderson's famous speech ahead of the 1990s Gladiator Eliminator during the Knights who say Ni scene which provided much laughter for the audience and poor Steven Pacey who then had to attempt to repeat it. Spamalot feels like being let in on a wonderful in-joke and that’s part of what makes it so unique. Another large part of its appeal is the controlled chaos on-stage that teeters on the edge of the entire theatre, cast and crew included, collapsing in fits of laughter at any moment. So for a laugh out loud night Ham and Jam and Spamalot head down to the King's Theatre this week, you won’t regret it.